Very impressive! It is entirely possible that we have the first Great Horror Film of the 21st Century. The Babadook is an extremely well-directed, written, and produced horror film that will have you terrified from beginning to end. Like classically written horror films, this one pulls on the spine-chilling element of psychological horror and pairs it with just enough visual effects to have you scared throughout the narrative. Another great observation of this movie to point out is the fact that it is not simply a rehash of past horror films. It was very refreshing to see something new and creative. Although it clearly borrows from classics such as The Shining, The Exorcist, and The Omen, it has enough original content and concepts that it will not feel like a re-imagined or re-made American horror film. Be prepared to witness the macabre and sinister psychological manipulation of the Babadook as he creeps into our world through the gateway of a children’s storybook. The Babadook is about the emotional struggles of Amelia, a widow, and her son Samuel as they continue to cope following the untimely death of Amelia’s husband who died en-route to the hospital to deliver Samuel. Ignoring claims from her increasingly troubled son, Amelia begins to fear a recent obsession with defeating a monster in their house has gone too far and Samuel is a danger to himself and others. One night, Samuel asks his mother to read a bedtime story entitled Mister Babadook. Not your ordinary pop-up book, this utterly disturbing and insidious story about a mysterious and vicious monster rocks Amelia to her core. Unbeknownst to Amelia and Samuel, by reading the book aloud, the Babadook has infiltrated their home and will stop at nothing to get what he wants. My favorite part about the movie was the emphasis on psychological horror. And, for most of the movie, that is what terrifies you the most. It isn’t until the third act that we begin to both see and hear the sinister Babadook. 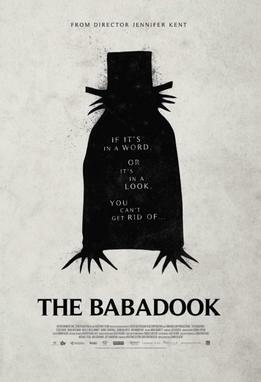 Unlike the third act of Insidious, whereas following The Further scenes, the movie takes a downward spiral, The Babadook maintains a high level of suspense and terror. However, I do feel that the visual horror aspects of this movie should have been left out. As a filmmaker and film critic, I can tell you that there is nothing more terrifying than that which is not happening mise en scene (everything that happens on screen). Often what we know is there, or think is there, is more horrifying that that which we can clearly see depicted on the screen. Writer/Director Jennifer Kent has truly shown that females can be just as effective and accomplished horror writer/directors as their male counterparts. The movie is extremely well written and directed. Both Essie Davis (Amelia) and Noah Wiseman (Samuel) portray their respective characters impeccably. Both of them definitely captured the very essence of their roles and showcased an authentic performance. It isn’t often that a horror film can capture exquisite storytelling in a genre that is frocked with underdeveloped stories, characters, and overly produced visual effects and predictable scores. The Babadook takes what preceding horror films did well and adds those elements to its own original story. The unsettling feeling you will have from the beginning that something just isn’t right, to the coming face-to-face with the “monster in the closet,” this movie knows precisely what buttons to push in order to generate heightened pulses and hypersensitive awareness in the minds and bodies of the audience.